LYNX is a CFD and Forex broker. The company was founded in 2006 and is headquartered in Netherlands. In addition, the broker also operates a branch office in Germany and is thus ideally suited for German traders. LYNX is subjected to very strict regulation by 3 financial authorities. Traders may trade through the trading software of LYNX with currency pairs and with differential contracts. The underlyings include equities, indices, commodities and foreign exchange. LYNX is distinguished mainly by its professional trading platform and its low fees. Due to an extremely high minimum deposit, the Forex and CFD broker is more suitable for experienced traders. LYNX was founded in 2006 and belongs to the well experienced company. The headquarters are located in the Dutch capital Amsterdam. Since 2008, this Forex and CFD broker has also operated an office in the German capital Berlin. LYNX is also present on the Belgian market. Regarding the credibility and security of the broker, traders need not worry at all. This broker is regulated not just by one but by three European regulators. 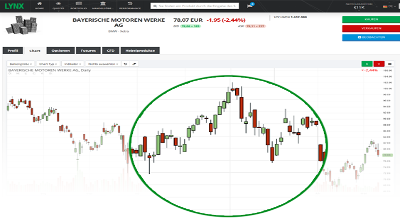 In addition to the two Dutch financial supervisory authorities (the Dutch central bank and Autoriteit FinanciÃ«le Markten), the broker is also subjected to the German BaFin (Federal Financial Supervisory Authority). Customer deposits are always kept separate from the company’s own capital. In addition, customer deposits are protected by the FSCS (UK Financial Service Compensation Scheme). The investment is hedged up to a maximum of EUR 48,000 per trader. The protection over the parent company Interactive Brokers LLC goes far beyond, up to 30 million US dollar. Considering all of that, LYNX is a very secure and also a serious broker. The official website of LYNX also leaves a very professional impression. Traders benefit from a wide range of trading options and opportunities where they can gain the required profit for a minimum deposit. 0.14Welcome(At least EUR 5.80). Currencies and CFDs can also be traded in the Forex area. Brokers also offer bonds, EFTs, and options. Traders can trade with over 80 pairs of currencies. Among them are all important major and also a few exotic currencies. The maximum leverage ratio is very low compared to other brokers and is only 1:40. For this reason, greater investment is needed to generate higher profits. This also makes sense in combination with the high minimum payment. In general, the spreads for LYNX are very small and are below the branch average. On major currency pairs spreads start at just 0.5 pips. The margin starts at 10:1 and goes up to 40: 1. Trading with German futures is already possible from 2 Euro. In direct comparison to other brokers, the order fees for LYNX are very low. Already from â‚¬ 5.80 Germany orders are possible. The trading offer of LYNX is not huge, but it still offers a good selection of different basic values. The range of contracts is particularly rich. CFD traders have the choice of some 3,500 trading instruments. Compared to other vendors, LYNX is not just a simple Forex broker, but also a CFD broker and a full stock broker. As a trading platform, LYNX relies on the extensive trader workstation. The professional trading platform was developed by Interactive Brokers and offers a wide range of functions for professional and active traders. The trading platform runs on Windows, Macintosh OS, and Linux and was selected by the trade magazine Barron’s 2012 as the best platform. The software can either be downloaded and installed or can also be used directly on the web. Trader Workstation is also available as a mobile version for traders. This can be downloaded and installed free of charge for Apple, Google Android, and Nokia mobile operating systems. The Trader Workstation is very clearly structured and offers the dealers a large selection of different order types. These have, among other things, the choice between limit orders, bracket orders, trailing stops, market-on-close, and limit-on-close. With regard to chart analysis, the trading platform also offers all common tools. Charts can even be customized and stored directly on the server. SMART routing is a particularly useful feature. If one share is traded in several trading venues, the trading platform automatically places an order where the best price is obtained. This function can also be used for the stop orders. The platform is ideally suited for experienced traders from the range of functions and possibilities. Beginners will need some time to familiarize themselves with the complex platform. Since the platform differs from the usual trading platforms, experienced traders have to get used to it as well. Both a brief guide and a detailed manual are available for the Trader Workstation. These should mainly be used by beginners. In order to open a trading account at LYNX, the traders must first pay a fairly high amount. To start trader has to put a deposit of 4,000 euros. Most beginners will hardly be able to raise this high amount. New customers must first request an information package at LYNX. This contains the deposit request, the terms and conditions and risk notes, detailed information on handling and fees, a leaflet, the post-identity coupon and a ballpoint pen as a promotional gift. The opening process takes some time because the customers have to pass the verification process via the PostIdent procedure. Compared to other brokers, the account opening at LYNX, therefore, takes much longer. Minimum age required to trade is 21. Users between 18 and 21 years can only open a cash settlement account and can thus only participate in European trading. Inexperienced or insecure traders can first get a picture of the trading offer and the possibilities by simply opening a CFD demo account at LYNX. Compared to other brokers, the demo account can be used without any time limit. The users can trade under real conditions and use the German-speaking support at any time. Since only gambling money (maximum 1 million) is used, the traders also do not have a financial risk. If you decide to make a real money account and deposit money, you can only use a transfer. Within 1 to 2 days the money will be on the trade account. Also with regard to withdrawals, LYNX differs from most other providers. Users can apply for a payout once a month, free of charge. The alternatives are SEPA transfers (1 euro fee) or wire transfers (8 euro fee). The choice of payment methods is therefore much larger with other brokers. A classic bonus for new customers is not available with this broker. Instead, LYNX offers a bonus for friendships. 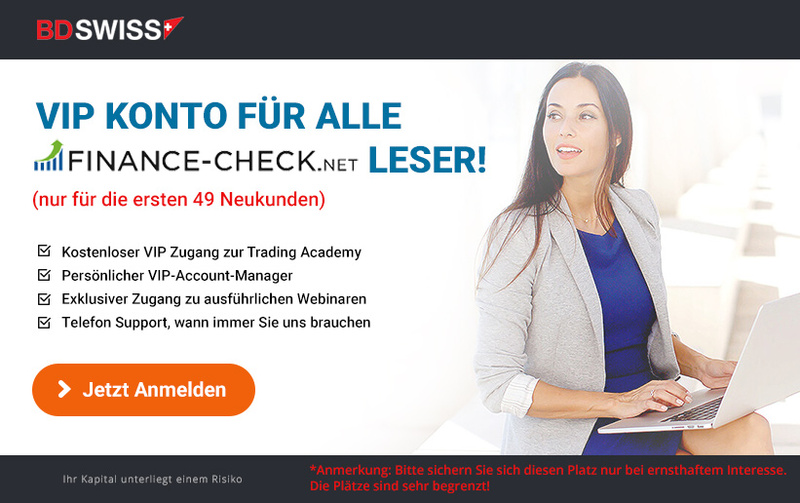 If you find a new customer, you will receive 50 Euro on your own trade account. Customer satisfaction is very important to LYNX. Telephone support is available from Monday to Thursday from 08:00 to 20:00 and Friday to 18:00. The phone calls are free for traders. The customer support makes a professional and very friendly impression. Traders from Germany, Austria, and Switzerland benefit from a German-speaking customer support. Alternatively, the traders can reach an employee of LYNX via email or directly via the software. As a rule, the requests are processed very quickly. LYNX customers can use the Training Room free of charge. In it, the traders are offered webinars, introductions to many different topics and seminars. LYNX has some special features and stands out clearly from the other brokers thanks to these. As one of the few brokers, this provider operates a branch in Germany and is therefore regulated by the German Financial Supervisory Authority. Thanks to the strict regulation by the same 3 European authorities and the existing deposit guarantee, LYNX customers do not have to worry about safety . In addition, the reputable broker has many years of experience. Customers can trade via the broker not only with Forex currency pairs and differential contracts but also receive their own stocks. Because of the extremely high minimum payment, this broker is turned mainly to professional or experienced traders. This is also evident if you take a look at the in-house trading platform. The Traders Workstation is a very professional software with many different functions and is not quite as easy to use. All important trading facilities are available and the various trading facilities leave nothing to be desired. While most brokers offer their customers several payment methods, LYNX is limited to transfers only. This is another special feature and, in some cases, a disadvantage. The German-speaking customer support can be reached easily during all working days and leaves a very professional impression. Further training opportunities are available and can be used free of charge by all users. LYNX is definitely a recommended Forex and CFD broker.